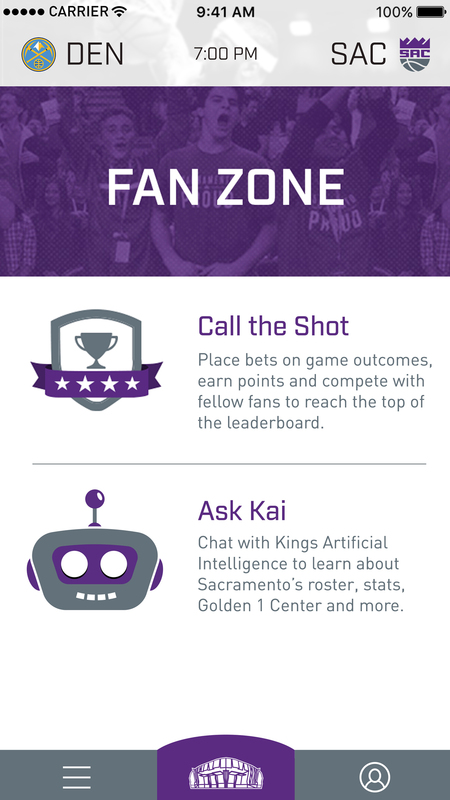 Built.io, the startup behind the Sacramento Kings’ new team and stadium app, formally announced its “fan experience platform” today, putting the company more directly in competition with market leaders YinzCam and VenueNext. A San Francisco-based company, Built.io did not have a standalone sports-app business when it was selected by the Kings to be the base app technology for both the Kings’ team app as well as the app for the Kings’ new home, the Golden 1 Center. 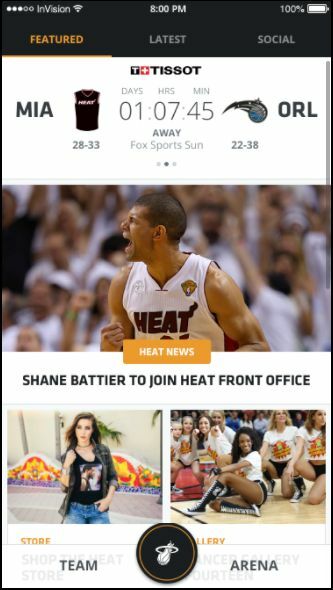 Since that arena’s launch last year, Built.io has also signed the Miami Heat as a customer, ahead of today’s formal launch of the sports-app platform. In the larger sports world, YinzCam is by far and away the company with the most apps developed for teams and stadiums, with many of its content-focused developments used by numerous pro league teams as well as many large colleges. VenueNext, which entered the world as the app developer for the San Francisco 49ers’ new Levi’s Stadium a few years ago, has since signed up multiple pro teams like the NHL’s San Jose Sharks as well as entertainment entities like Churchill Downs, home of the Kentucky Derby. Of the two market leaders, Built.io’s platform-based approach to app building — where third-party components for features like wayfinding and parking can be added via an API structure — is more like VenueNext’s, though YinzCam also has the ability to add third-party components as needed. The challenge for all stadium- and team-app builders, as well as for venue owners and teams, is to get fans to download and use the apps, so that teams can take advantage of the opportunities afforded by digitally connected customers. Screenshot of part of the Built.io app for the Kings. While there is plenty of promise and perceived opportunity in team and stadium apps, the current reality sees fans at stadiums using public social-media apps like Facebook, Snapchat, Twitter and Instagram, or other tools like email and search, far more often than team- or stadium-specific apps. However, by driving fans to use apps for digital ticketing and other necessary service transactions, team and stadium apps are likely to be more used over time, following the adoption curves for other businesses like coffee shops and airline tickets. Though still small, Built.io has been around for a bit, as it was founded in 2007. The company has previous experience connecting larger enterprise businesses, experience founder Neha Sampat told us will work well as stadiums and teams become more connected in all their businesses. Sampat said Built.io’s model of a “back end as a service” and its ability to quickly connect other programs’ APIs should be a good fit for the Kings, as well as for other teams looking to blend more services and functions into team and stadium apps.